The Protostrigidae occur in the Eocene of North America and the early Oligocene of Europe, and comprise the taxa Eostrix, Oligostrix, and Minerva; as shown by Mourer-Chauvire (1983b), "Protostrix" is a junior synonym of the latter taxon. Eostrix includes two small species from the early Eocene of Wyoming (Willwood Formation and Wind River Formation), Eostrix mimica (Wetmore, 1938) and E. martinellii Martin and Black, 1972, which are both based on hindlimb elements (distal tarsometatarsus and tibiotarsus for E. mimica and distal tarsometatarsus for E. martinellii; Wetmore 1938b; Martin and Black 1972). "Eostrix" vincenti Harrison, 1980 from the early Eocene of England is represented by a proximal tarsometatar-sus and a pedal phalanx only (Harrison 1980). Mourer-Chauvire (1987, p. 122) noted that this species differs from the Protostrigidae and more closely resembles Necrobyas (Sect. 15.4). (Howard, 1965) from the late Eocene of California. Whereas M. antiqua and M. leptosteus are based on hindlimb elements (Wetmore 1933e; Rich 1982; Mourer-Chauvire 1983b), the similarly sized M. saurodosis and M. californiensis are only known from humeri (Wetmore 1921; Howard 1965). It is thus well possible that M. saurodosis is a junior synonym of either M. antiqua or M. leptosteus, which have a similar temporal and geographic distribution. 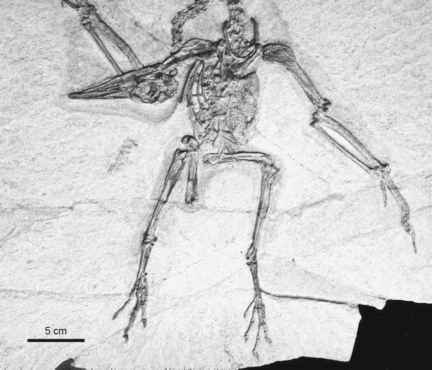 In Europe, the Protostrigidae are represented by Oligostrix rupelensis Fischer, 1983, whose holotype is a distal tibiotarsus from the early Oligocene of Germany. O. rupelensis is the smallest species of the Protostrigidae, being about two thirds the size of the Eostrix species and only half of that of the large species of Minerva (Fischer 1983b). Protostrigid owls are well characterized by a greatly widened medial condyle of the tibiotarsus and, possibly functionally correlated therewith, a strongly developed first and second toe (Mourer-Chauvire 1983b). The morphology of the ungual phalanx of the hallux of Minerva is peculiar in that the articular facet is markedly concave and the extensor process strongly proximally protruding (see Fig. 3 in Mourer-Chauvire 1983b). This morphology even led Wetmore (1933e) to erroneously assume that the ungual phalanges of Minerva antiqua are from an edentate mammal (see Mourer-Chauvire 1983b). The tarsometatarsal trochlea for the second toe of protostrigids is further proportionally shorter than in other strigiforms, which may constitute the plesiomorphic condition within Strigiformes. Another derived character shared by crown group Strigiformes but absent in the Protostrigidae is a medially situated tubercle for the tibialis anticus muscle on the proximal tarsometa-tarsus (see Fig. 2 in Mourer-Chauvire 1983b).